A skilled belly dancer should have the ability to flow in and out of movements with seamless transitions, in a fluid and interconnected manner. He or she should also be able to punctuate accents in the music with different emphases, from sharp attacks to softer, almost drifting pauses in which the energy keeps flowing from the dancer's body. 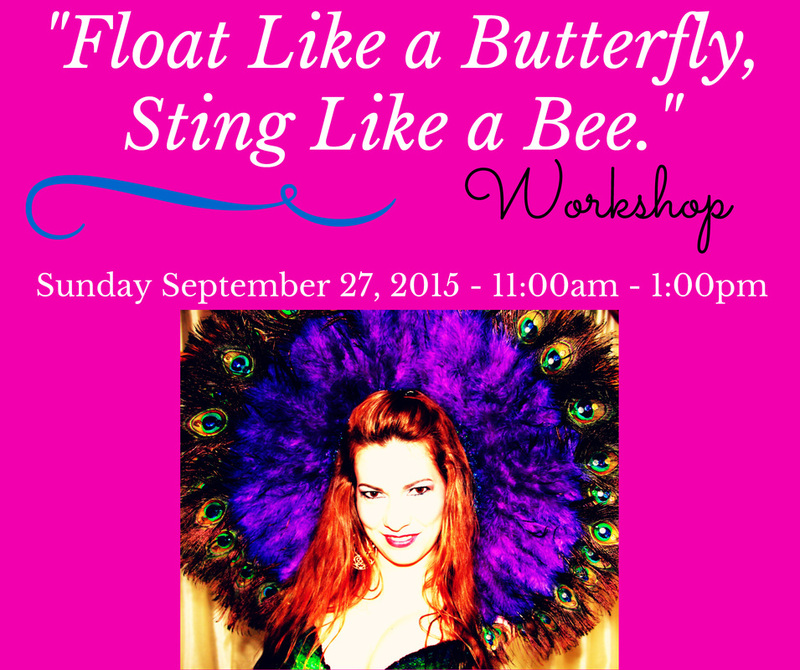 In this brand new workshop taught by Sa'diyya, you will learn the body mechanics of achieving these types of movements, as well as the mind-set needed to exhibit this high contrast quality of being able to "Float Like a Butterfly, & Sting Like a Bee." This class has something for everyone!!! 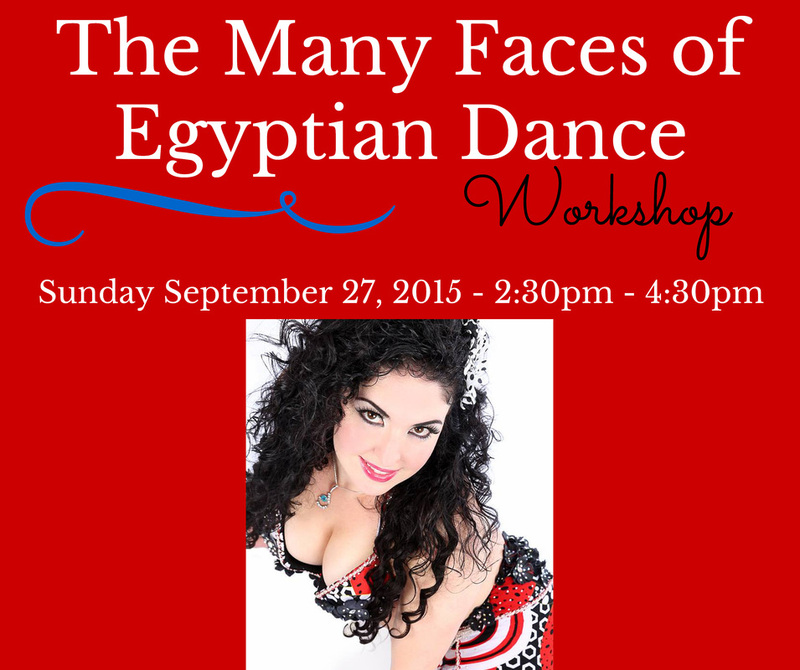 Vanessa will outline the different "faces" and styles of the Egyptian Raqs Sharki--as well as delve into Baladi, Shaabi and even Folkloric compositions, and explain why certain steps are appropriate for certain pieces of music, vocabulary of movement(and the differences /similarities between genres) as well as costuming choices. Students participating in this special workshop are encouraged to come with questions regarding these topics, and Vanessa will be happy to share her knowledge and experience with you every step of the way! Come and see which "Face" is your favorite! 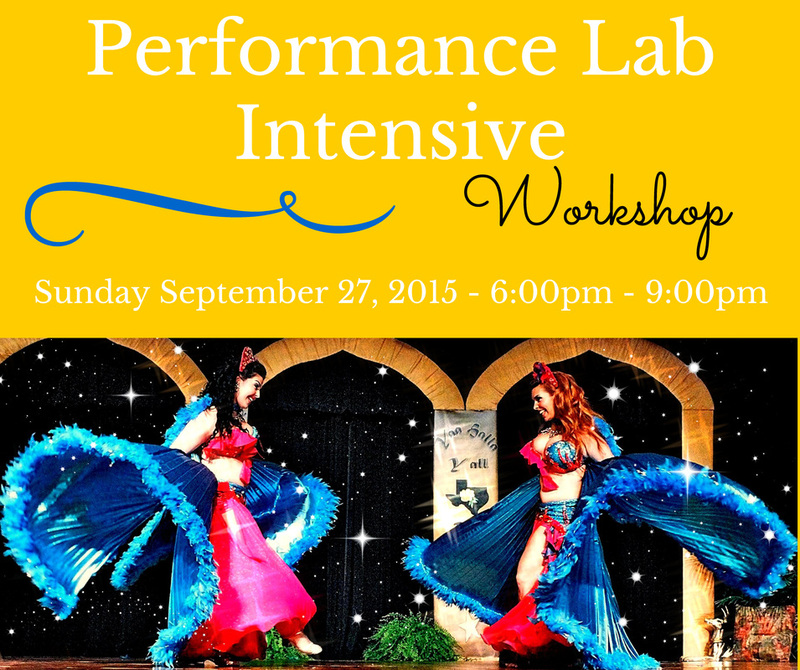 Limited to just 6 students, this Intensive will focus on performance skills for solo performers. 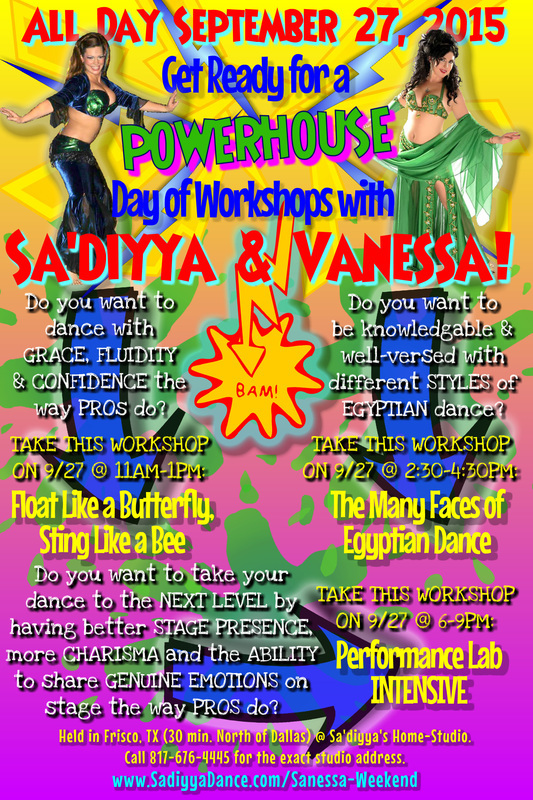 Both Vanessa and Sa'diyya will offer their expert tips to each attendee after viewing a short solo dance by each participant (so be prepared to present either a choreography or improvisational dance). Along with receiving immediate feedback in a semi-private lesson setting, the duo will present a variety of challenges meant to enhance performers' abilities to tap into stage presence, emotion and charisma!